This past week was spent wrestling with an intransigent hard drive, which took its last breath and some recent work I had done along with it. But all is well now and to celebrate, I thought I’d dig into my bursting archive and sharing a little my 3-week trip to Central Asia last October/November. For two weeks, I was in Kyrgyzstan documenting trade markets, as many readers would know, is one of my favorite things to do. In particular, I was trying to understand the pervasive nature of China’s economic influence at the goods trade level but more importantly, the role of Chinese businesses and their networks in this neighboring yet obscure region. 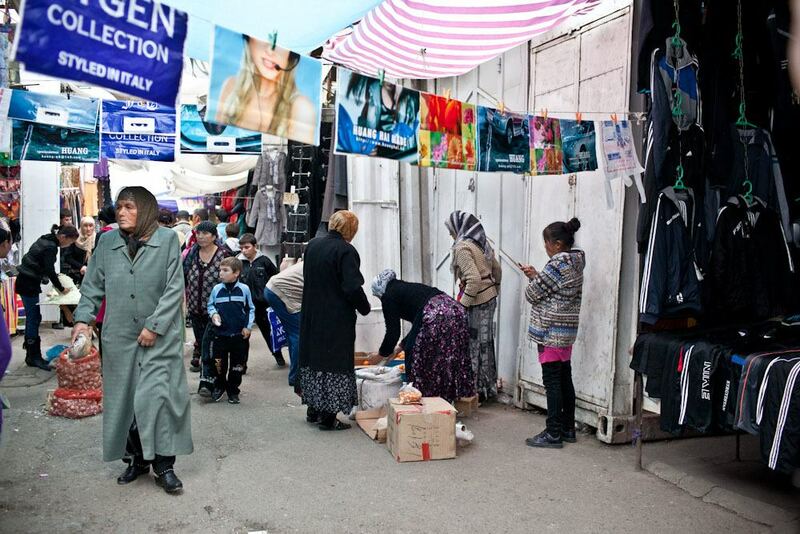 Kyrgyzstan’s bazaars are huge, with the largest being Dordoy Bazaar, located in Bishkek, Kyrgyzstan’s capital. 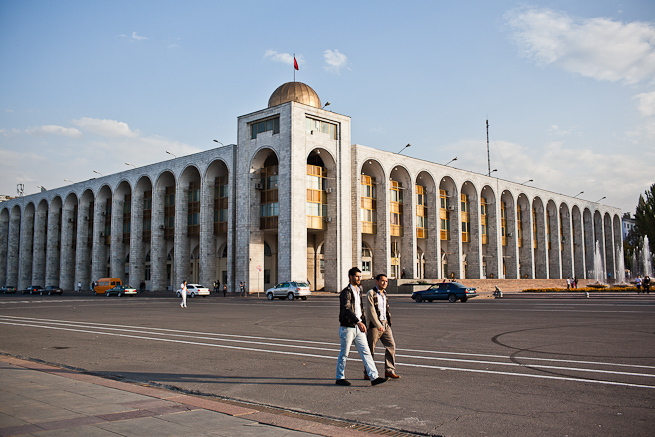 Traders from all over the region including China, Uzbekistan, Kazakhstan, Turkey and Russia converge to sell and procure goods in large volumes, ranging from white goods (expensive flat screen TVs, refrigerators, washing machines) to consumer products (shampoo, clothing, shoes, toys). Like all bazaars in Kyrgyzstan, Dordoy is assembled by shipping containers that are stacked up and stretch for miles and miles. The containers, ranging from rusty red, sea blue and deep green, and serve as both storage and shopfronts. The layout of the bazaars is easy and almost grid-like, giving a sense of order amidst the chaos on a busy Sunday. Stepping into the bazaar, one dives into a kaleidoscope of rich smells, loud sounds and dizzying colors assailing you from all sides. In narrow pathways, customers mingled with mobile hawkers who carried tea and snacks in baskets or push carts to feed he crowds. Every few minutes, laborers carrying giant boxes of stock would bellow in warning as they barrel through. On a clear day, sunlight would pierce through chinks in the roof in a sharp slant, illuminating anyone in the way. Almost all consumer/appliance products you find in Kyrgyzstan’s largest bazaars are made in China, and a small selection from Russia, Turkey and other neighboring regions. 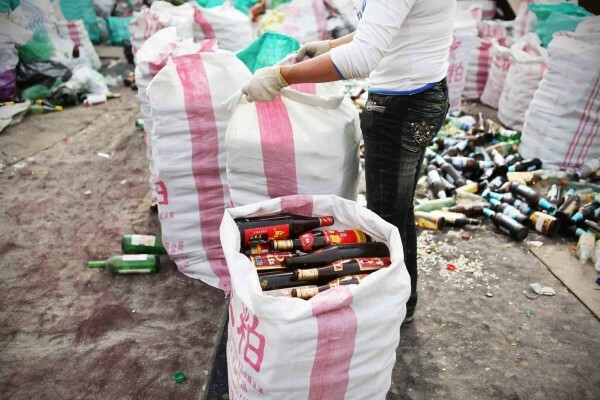 Nevertheless, most China-made products are labelled in Russian as they were to be exported to Russian-speaking regions. 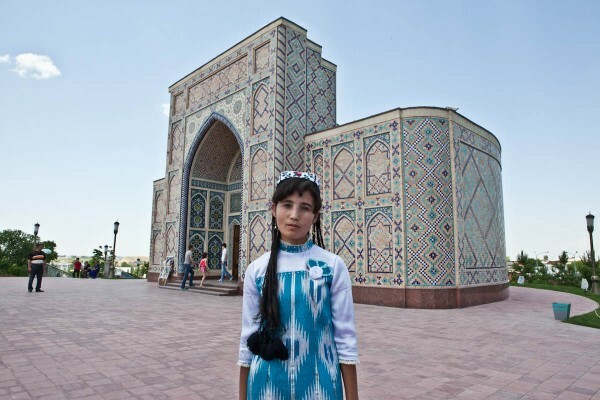 Russian is still commonly spoken in much of Central Asia though since breaking away after the collpase of the Soviet Union, the independent countries have been promoting the use of their own local languages. Kyrgyzstan is especially fierce about advocating Kyrgyz in schools, though many recognize English (and increasingly European languages, Korean and definitely Chinese) offers more employment possibilities. Nevertheless, Russian is a common language of choice for all traders. Accents are heavy but the point is carried across and transactions are eventually completed. 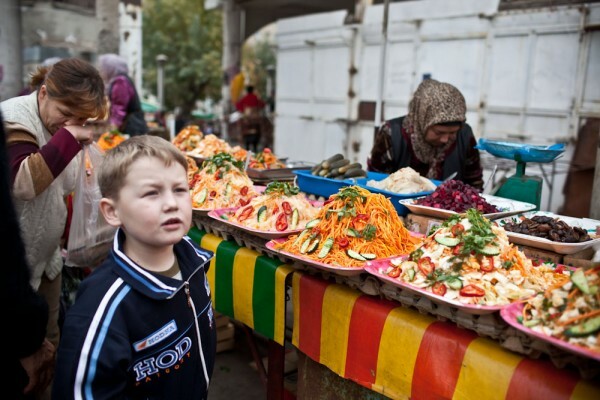 In the next installments of the bazaars of Kyrgyzstan, I look at the delicious bazaar foods.